Religions for Peace Australia has a Committee of Management, elected each year at its Annual General Meeting, held in April or May each year. For historical reasons, it is centred in Melbourne but there are representatives from associate branches in other capital cities. Currently these are in Sydney, Hobart and Brisbane. There are cognate interfaith bodies in Adelaide and Canberra as well as numerous local government interfaith networks across Australia. Chair: Professor Desmond Cahill, B.A., S.T.L., M.Ed., Ph.D., M.Ps.S.A., F.A.C.E.L. Biodata: Educated in Australia and Italy, Desmond Cahill, Professor of Intercultural Studies at RMIT University, is one of Australia’s leading social researchers. In 2006, he was made an honorary fellow of the Australian Council of Educational Leaders for his work in immigrant, cross-cultural, interfaith and international education. He currently chairs the Religions for Peace (Australia), and represents Australia on the Asian Conference of Religion and Peace (ACRP). He led Melbourne’s successful bid to stage the forthcoming Parliament of the World’s Religions, the world’s largest interfaith gathering, and is now its Melbourne Program Director. A member of the Australian Partnership of Religious Organizations (APRO) and of the Victoria Police Multifaith Advisory Council, he is a Club Melbourne Ambassador as part of the “Think Melbourne, Think Victoria” strategy of the Victorian Government. Deputy Chair: Rev. 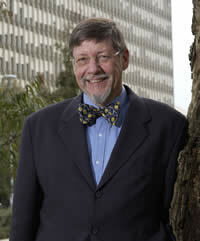 Professor Gary Bouma, B.A., B.D.,Ph.D. Biodata: Gary D Bouma is Emeritus Professor of Sociology and UNESCO Chair in Intercultural and Interreligious Relations – Asia Pacific at Monash University, and one of Australia ‘s leading academic authorities in the sociology of religion. He is also Associate Priest in the Anglican Parish of St John’s, East Malvern in the Anglican Diocese of Melbourne. He is Deputy Chair of the World Conference on Religion and Peace ( Australia ), Board Member, World Conference of Religions for Peace – Asia Pacific and is Chair, Board of Directors, for the Parliament of the World’s Religions 2009 to be held in Melbourne. Biodata: Jo Elvins is a retired social worker who’se 23 years of settlement work started at Christmas 1974 whenCyclone Tracy hit Darwin and thousands were evacuated. In 1975 she worked with East Timorese evacuees and from 1976 with refugees from Cambodia, Laos and Vietnam. Other wave of refugees came to Australia from Poland, Romania, El Salvador, Afganistan, Ethiopia etc and she feels priviledged to have contributed to their new lives in Australia. She maintains this involvement as a member of the Communities Council on Ethnic Issues in the Eastern region of Melbourne and represented CCOEI on the interim committee for the Whitehorse Interfaith Council. She represents the Augustine Uniting Church on the PWR subcommittee of the Boroondara Interfaith Council. Together with her husband, she was at the opening and closing ceremonies of the 6th WCRP Assembly in Melbourne and attended the 8th Assembly in Kyoto. Biodata: Gurdarshan Singh Gill, a founding member of Sri Guru Nanak Satsang Sabha, a premier Sikh religious organization in Victoria, has served as its director for many years. He is the past president of the Interfaith Network of the City of Greater Dandenong and currently he is the director of Sikh Interfaith Council of Victoria. Gurdarshan has a very keen interest in interfaith activities and represents the Sikh community on a number of organizations and forums. Biodata: Joan Daw’s background is in teaching and the sociology of religion. She has been involved in research relating to Buddhist, Muslim and Christian communities in Australia. This experience has influenced her interest in interfaith relations and their potential for peacemaking. Biodata: Sister Josepha is a Holy Spirit Missionary Sister who has worked in India with the marginalized for 40 years. Since returning to Australia, she has worked as a therapist in Silverwater Prison and at the Bethany Holistic Health Centre. She is a member of the Ecumenical Council of NSW. Formerly secretary for the NSW-WCRP, she is now its convenor. Biodata: Rev. Helen Summers has completed her studies in Australia and the United States in religious studies and adult education. H elen taught English as an international language and language teaching methodologies for many years in Australian universities. After learning from many religious and spiritual leaders around the world, s he was in 1997 ordained as the first Australian interfaith minister from The New Seminary in New York, 1997 at in The Cathedral of St John the Divine in New York. Interfaith Ministers remain members of their own religious tradition, but are informed, knowledgeable and deeply respectful of the world’s diverse religions and spiritualities. She has been the foundation director of The Interfaith Centre of Melbourne since 2000. Helen is a member of the Board of Management, Parliament of the World’s Religions Melbourne 2009.